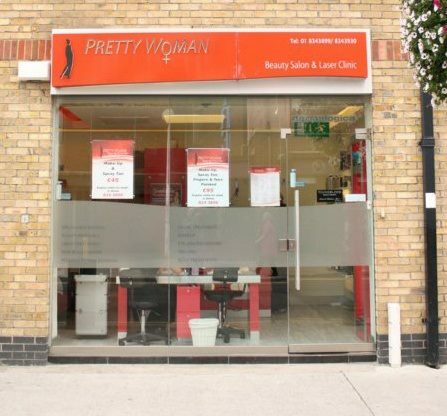 This weekend I was invited to try out a treatment at Pretty Woman Beauty Salon in Finglas Village, just a short bus ride away from where I live. 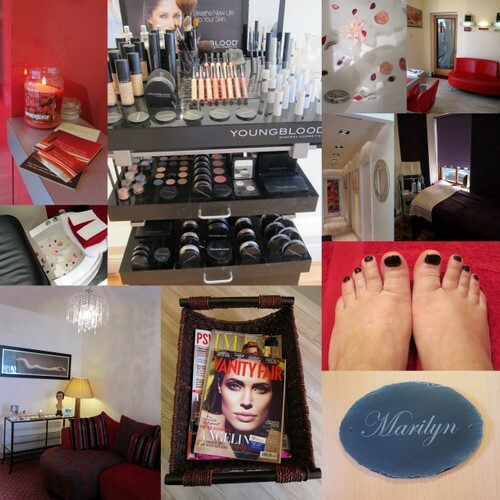 This modern red- and-white salon is four years old and spans two storeys, with three treatment rooms on each floor. The downstairs rooms are used for waxing and tanning with the luxe upstairs area used for more pampering treatments like facials and massages. There’s a lovely ambience throughout the salon with Yankee scented candles perfuming the air. I opted for a pedicure with a callus heel peel treatment, and was thrilled to see it set up prettily with a sprinkling of flower petals in the water basin. The pedicure chair itself was a big leather massage chair which was just blissful. It's these little touches that all add up to make a big difference -- from the feminine decor to the names of the treatment rooms (iconic movie stars, including Audrey and Marilyn) to the wide selection of magazines on offer (Vanity Fair, Psychologies, Image), the attention to detail is lovely. I was looked after by nail technician Laura who was friendly and professional and did a fantastic and thorough job of prettying up my feet. After a foot soak and scrub, the callus treatment was applied and my feet wrapped while it took effect. Laura tackled my toenails and cuticles before removing the dead skin from the heels and balls of my feet with a plastic scraper, and applying a moisturising foot cream. I was impressed with the results: the callus treatment was effective in removing a lot of the dry skin but a course of 3-4 treatments is recommended for optimum results. We then moved to one of the treatment rooms where my toenails were treated to Jessica Geleration nail polish in Notorious – a lovely dark shade with subtle copper shimmer. The joy of a gel polish -- along with the 2-3 weeks of wear time -- is that my nails were dry by the end of the treatment so no worries about ruining Laura’s hard work on the way home! Pretty Woman is a busy salon with lots of regulars popping in, and I can see why. The experience was heads and shoulders above the local salon I’ve been using, but with similar prices. There is a huge range of treatments on offer from standards like waxing and tanning to botox and restylane (administered by a doctor) and IPL Laser Treatments. The salon distributes Lash Perfect eyelash extensions and La La Lashes along with Young Blood mineral makeup, which of course piqued my interest. The range includes 5 different foundations along with eyes, lips and cheek products - I quickly swatched the primer, which reminded me of the popular Smashbox product. The full range of treatments and prices is available on the Pretty Woman website. They run special offers from time to time too - I’ve signed up for their newsletter and am already looking forward to my next visit. Salon looks lovely. The callus peel sounds gross but brilliant at the same time - is it the same as a medi pedi? Thanks guys! @Mandy, yes it's basically the dry skin removal part of a medipedi but you can get it on its own for €35, or combine with a pedicure. @CherrySue, I was delighted with how quickly I got there - it took me about 10 minutes by bus to get to the salon from Santry. Will defnitely be going back. Sounds great, I've never had a pedicure, am too ticklish! I've never had a pedi either - by the looks of this review I'm definitely missing out! If you have ticklish feet you probably won't enjoy a pedicure but my poor feet are always aching and having them pampered is honestly my idea of heaven! Nothing like a good pedicure any time of year - it's something I love to treat myself to. Sounds like you really had a great time pampering yourself at this salon. Do you know how much would it cost for an IPL therapy in that place? Looks nice and relaxing. I should go there to relax. I am kind of stressed this week. This weekend will be the blast.